Is Curling a Battle for the Hammer? 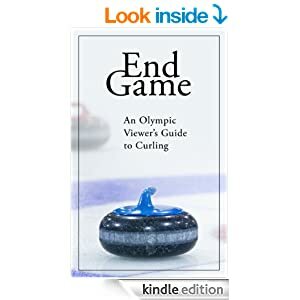 Back during the era of the Grand Old Game; before push brooms, The Ryan Express and Shorty Jenkins ice moved us all to Free-Guard Zone; it was often heard at most every club by players at every level (of play and inebriation) that “Curling is a battle for the hammer”. To some degree this may have been true, though the strategies of teams like Savage and Werenich, Burtnyk and Olson and the Howard brothers opposed this mentality with their aggressive play. Rather than “Take 2 then Give 1”, these Superteams preferred to put constant pressure, take many and then steal until the opponent shook hands. The question I raise is, in Today’s 4-rock game, is it still possible that Curling can be a Battle for Hammer? In my analysis, I will touch on several areas and provide some data which may help us find and answer. Starting with hammer is an advantage. We know this because every time your team wins the toss, you don’t think too long about whether or not to choose stone colour. I expect some Ontario folks will shout out “I remember this one time so and so knew the rocks were bad and chose colour instead of hammer” – but I expect this is not a common occurrence. The “draw to middle” or pre-selecting number of games in a round-robin where teams get hammer also indicates its importance. We also have some data which tells us how often the team beginning with hammer wins. Unfortunately not all events keep proper track of who started the game with hammer and our sample size is not as large as we would like. One way to take a sample of data is looking at 10 end games that are tied after 2 ends (i.e. now an 8 end game). Our results show us a 61% winning percentage. This doesn’t tell us much more than we already know, except to help us understand if 8-end games are fair. That is not, however, the purpose of this article (though we may return to this idea). The Odds of winning at the completion of each end during the Early game is nearly equal. Odds of winning during the Middle Game start to trend in a specific direction. Odds of winning in during the End Game trend steeply in one direction. The exception is 1 down with hammer, which drops then rises before the final end. Tied with hammer: Winning percentage is within 60-62% until 3 ends remain where it jumps more dramatically to 65%. That is, a tie game has nearly the same statistical outcome for all ends until the End Game is reached (starting the 6th or 8th). 1 down with hammer: Maintained around 42-43% until 5 ends remain, where drops to 39% in the Middle Game. It then rises back over 40% and during the End Game, 1 down winning percentage drops to 38%, then down below 35% and back above 38%. This phenomenon was discussed in the article “To go for two… or not? Masters of Curling final: Howard vs. Ferbey” from Black Book of Curling 2007-08. Two down with hammer shows 27 to 26 % during Early Game than a drop below 25% beginning the Middle Game and a drastic drop to 20% with 4 ends remaining. 3 down with hammer: Stays around 15% until 6 ends remain then drop to 13%, then flat at 11 to 10% with another drastic drop beginning the End Game of below 7%. 1 up with hammer: Stays fairly constant, from 75% then leveling in the range of 77-80% until the End Game begins and it jumps to 84%. 4 down with hammer: Transitions, oddly enough: 9-7-7-5-4-3-2-1-0%. Short answer – don’t be 4 down after the Early Game or you’re screwed. 2 up with hammer: 87-90% until we reach the final stage of the Middle Game (93%). 3 up with hammer: In an 8-end game, anytime you are in this position you shouldn’t lose. In a 10 end game – just get past the 3rd and it would take a monumental collapse to lose (though we’ve all been there once or twice). To try to answer our original question, we need to define what is meant by “Battle for the Hammer”. Let’s assume “Battle for Hammer” implies a team which starts with hammer wishes to keep it and the opposition is trying to gain that position (tied with hammer). The advantage of tied with hammer is only slight, roughly 60 to 40, until the End Game. Teams who win 60% of their games don’t often place high in the money and they certainly don’t win Briers or Olympic Gold. We don’t gain a substantial position until the final end, where we still lose 1 of every 4 games. By this definition, I’d suggest Curling is not a Battle for Hammer. Now, if assume we this phrase to mean a battle to gain hammer with the lead, then it could be argued Curling is a Battle for Hammer. 1 up with hammer with 8 ends remaining is the same as tied with hammer at the end of the game (75%)! Having hammer with a lead of 2 or more points is very strong. It is preferred to 3 up without during every stage of a game, except for the final end where both positions are equal. How Important is the Hammer? So how do we begin to analyze the importance of last rock? At any time during a game we can determine its statistical value. We’ve determined that leading with hammer is a strong position, stronger than being further ahead without hammer. But by how much? Let’s compare tied and 1 up without, 1 up with and 2 up without, and 2 up with versus 3 up without. During the Early Game the difference is about 2-3%. It jumps to 5% at the beginning of the 5th end, or Middle Game. Then ranges between 0-3% until the last end where it jumps to 12% advantage for tied with hammer. When 1 up with hammer you are stronger than 2 up without by 2-4% until 4 ends remain, where it reverses to 1% advantage when 2 up, then back to advantage of 4% to 2% then 0% for the final end. Again, up with hammer is slight advantage, usually only 1% with the exception of 7 or 4 ends remaining where it is 3-4%. In real terms, these two positions are essentially equal. There is clearly not a significant difference in each of these scenarios. In each case having hammer while up is a slight advantage, but usually only 2-4%. Therefore, I disagree with the theory that Curling is a Battle for Hammer. Take, for example, an 8-end game where you have hammer and are held to one in the first end. Instead of having a 60% winning percentage you drop to 58%. Your position is in fact not much different than where you were at the beginning of the game. Much more significant is to have a shot for one and instead give up a steal in the first end, going from 58% to 42%. Interesting to point out that often when the team without hammer holds the opposition to one in the first end it is perceived they have “won” the end or done their job. In reality, they have only gained a 2% advantage from where they were. More correct perhaps to state they have successfully “avoided” the position of falling behind by two or more. Next article I will be revealing data on the Women’s Game and also attempt to tackle the question of what is “Control”. What strategy should I employ when one down with hammer in 9th end? One of the most difficult situations towards the end of a game is one down with hammer playing the next to last end (9th or 7th). Statistically, the lowest probability of winning when one down with hammer is in the next to last end (34.9%). In the last end or with two ends remaining it is over 38%. In fact, tied with hammer with two ends to play is 67.5%, only 2.4% higher than if you are one up without! I have seen every type of play in this situation, from both teams keeping it clean to produce a blank (and a 5 minute end) to every rock in play. So, using mathematics, what is the correct strategy, or at the very least, how do we approach this scenario to be better prepared when it happens? So how should we play the end to maximize our chances and overcome our unenviable position? Also, our opponent without hammer can dictate the early part of an end by placing guards, how does this impact our decisions? Let’s start by examining the numbers. Clearly, the best scenario is to take three (or more). If we score three we have an 89% chance to win. The next best scenario is to score a deuce and have a 61.8% chance in the final end. If we play aggressive and are forced to one, however, we win only 25%. In fact, if the end results in a draw for two and we miss, only scoring one, our chances flip from 61.8% to 25% - a huge difference. A blank is better than scoring a single, leaving us at 38.2%, but still we can expect to lose more than half the time. Let’s also examine the competition’s strategy. If they read my articles, they know the correct play in this situation is to force the action and attempt a steal or force or a single, at the risk of a deuce. Let’s assume for now our opponent will place a centre guard. First, let’s attempt to play a clean end with the expected outcome a blank. After the opposition places a centre guard, we choose to draw to the side. Our opponent will most likely hit our rock and stay in the rings. Assuming we exchange shots and no one rolls their shooter to center, we can remove the centre guard with the 6th rock of the end. If the opposition splits the rings (most likely) we then are playing out the end trying to make a double in order to blank. If we fail to make a double and our opponent does not roll out, we will be forced to a single point and left with a 25% chance of winning with one end to play. Even if we could successfully blank 100% of the time, we do better playing very aggressive. These numbers are not completely fabricated; they are based on existing data. For example, as of this writing, during this season (2007/08); Howard, Ferbey and Martin score three 13% of the time across all ends played with hammer. Taking an average of three “average” WCT teams results in 8%. These numbers can be skewed due to the better teams (aka Howard, Ferbey and Martin) being ahead more often and their opponents need to take greater risks – often resulting in big ends during later stages in a game. Split the centre guard with a “tick”. Shot Call 1 will lead us to the scenario in Option 2 above. What about the other two? If we can sit second stone, our opponent has several options, depending on how all the stones are sitting. In most cases, we could expect he will attempt a hit on the open rock and try to roll to the centre, behind cover, to sit either first or second. If he is successful, we are back to Option 2 (Very Aggressive) above and we are likely behind in the end. We will need a big shot or mistake from our opponent, but the aggressive nature of the end now makes that more likely. If our opponent does not roll successfully, we can attempt a hit and roll. In either case, if we instead choose to remove the guard or run it back, a steal becomes less likely, however a chance for a single increases and a three is highly unlikely. We can expect the end will look more like Option 1 above, with our best outcome a blank or low probability of a deuce. This is the scenario which I don’t recall seeing in a game but appears powerful. If we can split the guard and create two corner guards, our opponent now is left with an unclear decision. Does he put a centre guard back, even though you’re shot stone? Does he peel a single corner, or attempt a double peel (if it is even possible). Does he run his stone onto yours, attempting to lie two? This last option seems the best scenario but, it will leave two guards, an open four foot, and most likely both rocks will not sit perfectly behind cover above the tee line. Even if they do, a corner-freeze is available and with two guards, one which is now yours and could be driven back later on, the advantage appears to be with you. If our opponent gets cautious and elects to peel the guards, we now have options to play for a blank (if we choose), place another guard or move rocks around in the house and attempt our deuce with minimal chance for a steal. Ultimately, a team must determine which option maximizes a chance for two or three, limiting the times you get a single point AND minimizes a steal by your opponent. Not an easy answer. The difficulty is that a blank, which is preferred to a single, is not a high occurrence if you attempt to score two or three. This specific scenario, one down with hammer with two ends to go, is one of the most interesting in the game and possibly more intriguing than the final end. What If Our Opponent draws into the rings? Instead of a centre guard, our opponent puts his first rock in the rings. We can now place a corner guard or hit the rock in the rings. If we call for a guard, our opponent could now choose a centre guard. We then draw around and are back to scenario in Option 2 above, though we are behind in the end. If we hit the stone, we are playing for a blank which, in this case, is very likely. For the team without hammer, assuming we will place a corner guard, this appears to be a stronger play than above. The team with hammer now faces the corner freeze and could have more difficulty getting shot stone. This decision stems more from a team’s strategy of preferring to sit shot or be positioned frozen to shot stone in order that a shot can be played later in the end. I can see advantages for both cases and will leave it up to the reader to determine what they prefer in this situation. Appears there is no clear answer to our original question. It is clear that attempting a blank is a less risky play but provides no upside and most likely results in us winning less than one in three times. Playing aggressive increases our chances, but also creates a complex end; producing many options for both teams and presenting opportunities to stay aggressive or bail out. For fans, it is clearly the most interesting scenario in a game and, for a skip, one that cannot be simply “played by the book”.